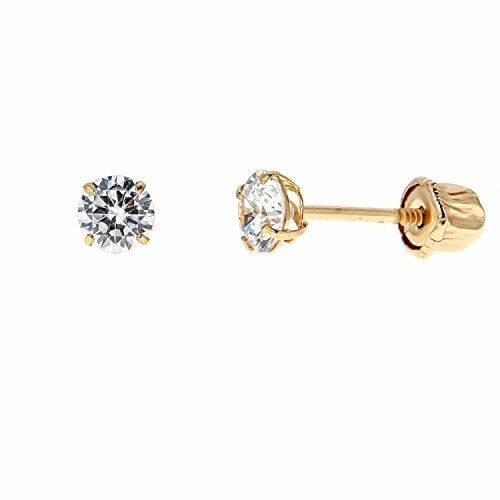 Genuine 14k gold classic style baby cubic zirconia stud earrings suitable for children and babies. 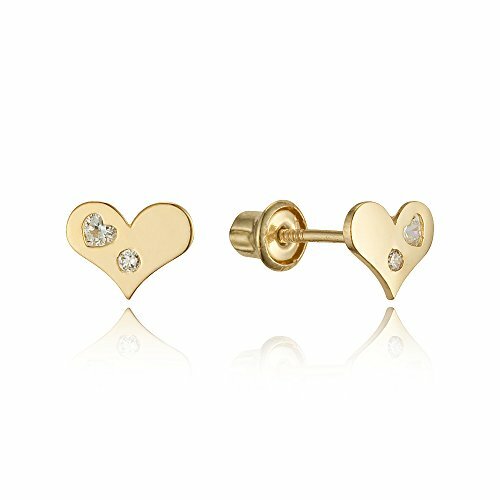 Very tiny and mini.Available in Yellow-gold or White-goldBeautifully crafted and well designed with brilliant white cz stones.Stone Size: 2x2mm (round)Safety screw-backs for comfort and security when wornAll items come with a gift boxProperly stamped and markedPictures are enlarged to show details. 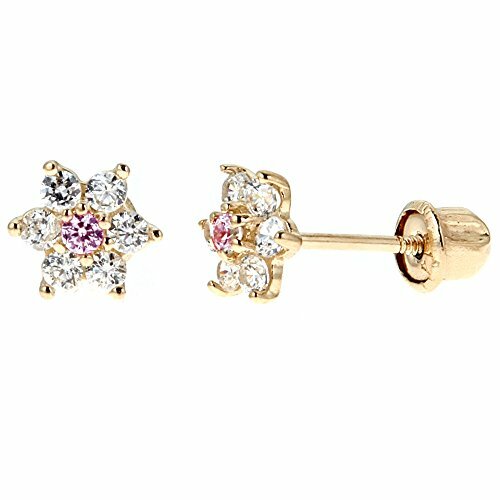 14k Yellow Gold Small Baby Pink Flower Cubic Zirconia Screw Back Earrings Earrings Kids Small with Screw Back child safety ideal for baby or kids. 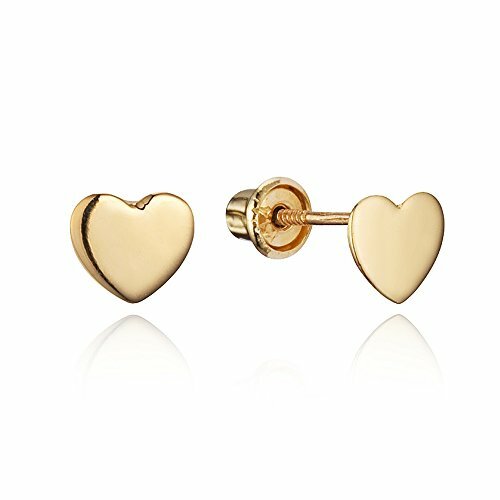 Beautifully designed and well crafted. This jewelry will make a great accessory and compliment any style and occasion. 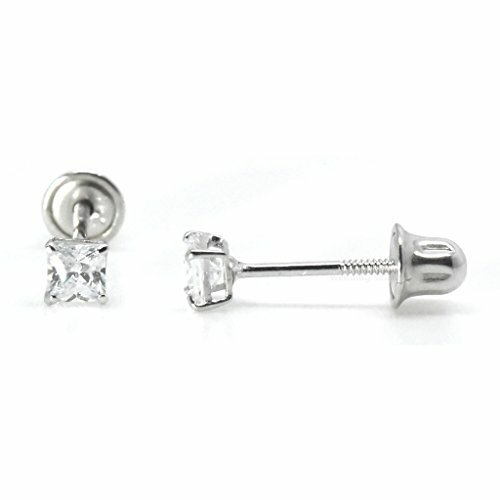 All items come with gift box Properly marked and stamped PICTURE IS ENLARGED FOR DETAILING. 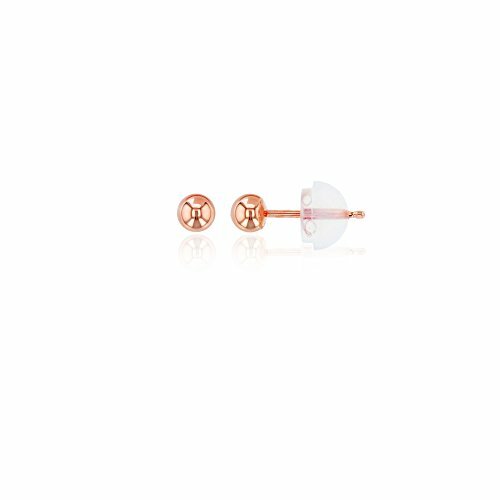 One quick look is all you need to decide that these dainty May birthstone earrings are a perfect pick for the newest baby in your family. With a safe and secure domed back finding these 3mm simulated Emerald CZ round studs cannot be beat. 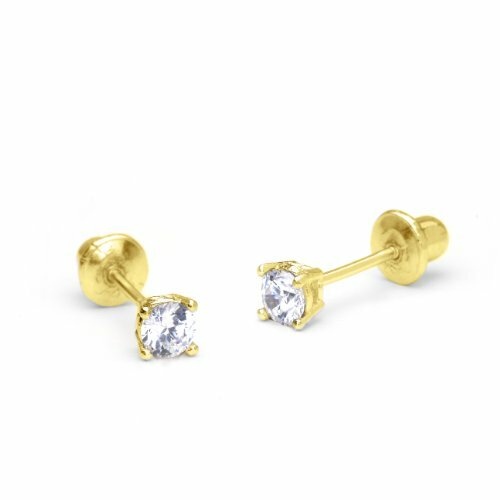 Baby 14K Yellow Gold Diamond Stud Earring 0.07 ct.tw.